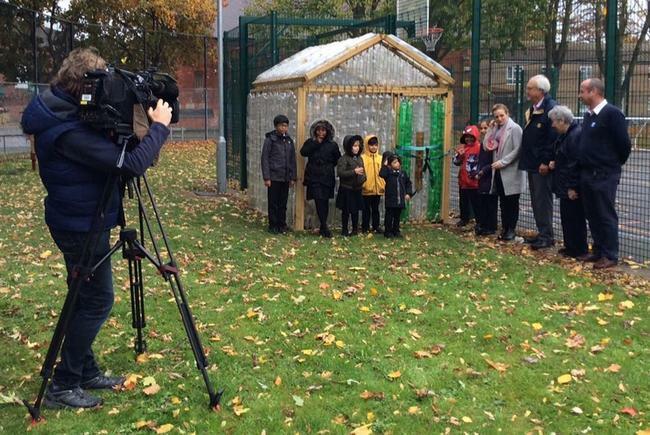 Last Friday we were very excited to be visited by a reporter and cameraman from BBC East Midlands to film the opening of our Eco-Greenhouse. 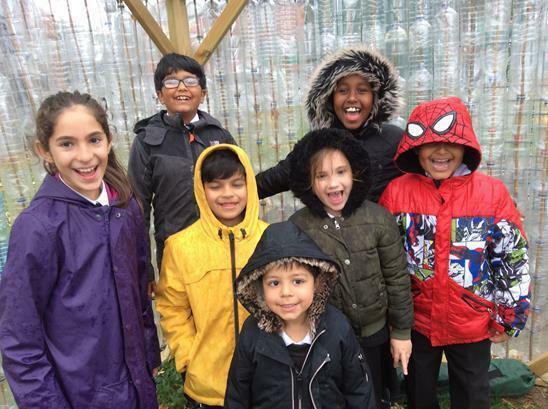 This is another exciting addition to our outdoor learning area, and we are looking forward to being able to grow things in it in the spring. The greenhouse is made of over 1200 plastic fizzy drinks bottles in a wooden frame, and is environmentally friendly, as it made good use of the bottles, and stopped them from being thrown away. It was organised by one of our Governors, Mr Benfield and paid for by Mercury AVS, who provide our IT support . A team of people from the Rotary Club and Mercury AVS then gave up their time to put it all together. We would like to say a big “Thank you” to them all for their generosity in making this possible for us.